10:58 | Lima, Feb. 8. 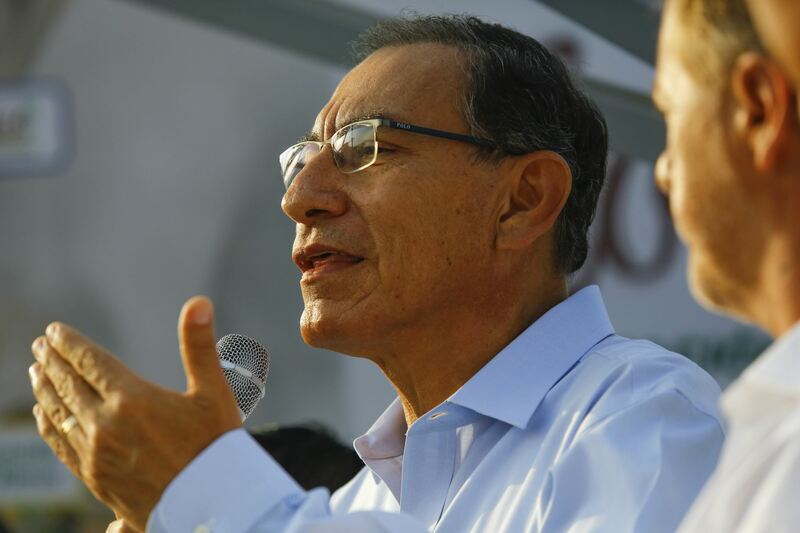 Peruvian President Martin Vizcarra enjoys an approval rating of 63% in February, the latest Datum poll revealed Friday. According to the survey, 33% of respondents approve of Prime Minister Cesar Villanueva's job performance. On the other hand, Congress Chairman Daniel Salaverry's approval rating continues to rise, going from 33% in January to 35% this month. The study also reveals that 41% of citizens believe the creation of new political groups at Congress is positive, while 46% think the opposite. As for the situation of ex-President Alberto Fujimori, who has been sent back to prison, 59% of respondents think he must be placed under house arrest. However, 48% reject the possibility of granting him another pardon. Lastly, 75% of those polled believe former President Ollanta Humala did know about the bribes paid to the Construction Club in order to obtain lucrative public works concessions. In fact, 81% of respondents do not believe ex-Transport and Communications Minister Carlos Paredes when he says that neither he nor his brother is involved in the bribe payment by construction firms. Pollster name: Datum Internacional S.A.
Target population: Men and women aged 18-70 years old from every socio-economic segment.